1 Using a pestle and mortar. Add the green chillies, garlic, ginger, lemon grass, coriander and mint and pound into a paste. 2 Add the curry paste, coconut water and fish sauce to a pan over a medium heat. Once the broth begins to simmer add the prawns and cook until the flesh firms up and they turn a pink, orange colour. 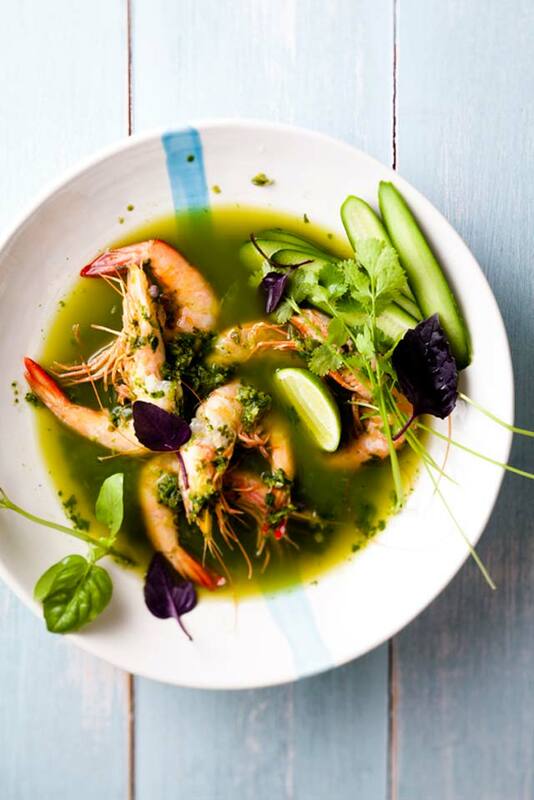 3 Add the prawns and broth to serving dished and garnish with basil stalks.